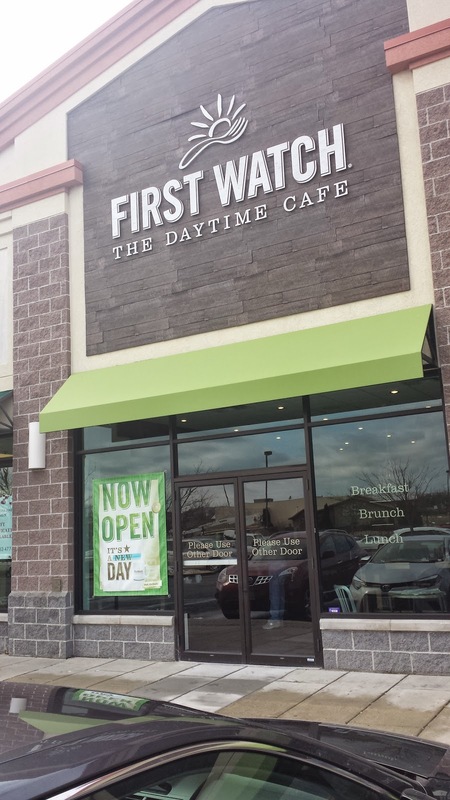 First Watch proves that a chain can do a good job of providing healthy food in a pleasing environment. I think it's my nominee for the "Best Breakfast" category (assuming that there is, in fact, a place to nominate Bowie restaurants for such things). It's sort of hard to describe the restaurant concept succinctly, but it's basically breakfast/brunch/lunch with fresh ingredients. All three of my visits have produced tasty meals. The only glitch I really had was one time, I brought two hungry four-year-olds, and the meals took much longer than they should have. That would not have been a problem with patient adults with fully-formed digestive systems, but hungry crankiness led to some embarrassing misbehavior. So, if you have hungry kids, IHOP is probably a better choice. But if you want adult food for adults, you should come here. Besides my three visits, one time a co-worker arranged a catering order through them (something I've done very successfully at Lima's). It was great! I haven't posted a restaurant update since January, so there must be some news. Let's see. Glory Days has been reduced to rubble with the rest of the Marketplace. It will not be returning. Wingstop is now open in the former Quizno's location at Bowie Town Center. Yamon Island Grill is now open in the Bowie Town Center food court. Simply Southern American Grille is now open next to Chesapeake Grille in Hilltop. Free State is getting "America's Best Wings". Last time I had three left to go, and I reviewed one, but four have opened, so I have six to go. Three of those have been visited twice, as my standards require, so I just need to write those up. And move faster, apparently. Samosa Supreme (Their website now sounds like less of a restaurant, though).